"I am thankful for the opportunity to impact, enhance, and transcend lives through the enrichment of engaging professional development and daring pedagogy." Angela Smith has presented numerous professional development sessions over the years to promote classroom excellence. As an educator for more than 15 years, she believes wholeheartedly in Jacquie McTaggart's statement, "If they don't learn the way you teach, teach the way they learn." She also believes that students must be empowered to become critical thinkers and self-evaluators. Angela teaches fourth grade in Birmingham City Schools. 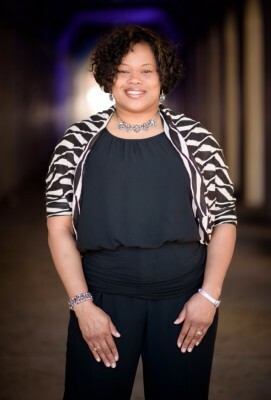 As an Educational Consultant, she presents sessions to teacher leaders and school administrators who desire to earn PLUs for certification renewal.